Docker just announced its new Docker Enterprise Edition 2.0 platform. The update represents a major update for the enterprise-ready container platform. Docker Enterprise Edition 2.0 manages and secures applications on Kubernetes in multi-Linux, multi-OS, and multicloud customer environments. It also integrates and scales with your organization, giving you flexibility and choice over things like what applications are supported, which orchestrators are used, and where it’s deployed. For those using Kubernetes, it also lets you use more streamlined workflows to deliver safer applications through integrated security solutions. Here’s some more information about the platform and its capabilities. One of the most appealing aspects of Docker EE 2.0 is its ability to work with Multi-Linux, Multi-OS, and multicloud environments. It’s certified across multiple Linux distributions, Windows Server, and multiple public clouds. This gives enterprises the ability to support the broadest set of applications to be containerized. It also gives users the choice of Swarm or Kubernetes. Both options operate interchangeably in the same cluster. So IT administrators have the ability to build an environment that gives developers a choice of how their applications are deployed at runtime. Teams can even migrate the same applications from Swarm to Kubernetes using the same Compose file and manage applications deployed with both orchestrators through the same control plane. With these features, enterprises should have the ability to gain operational agility since IT can manage applications in a variety of environments and with different orchestrators. So you can change up preferences at any time without having to make major shifts to processes. Additionally, the platform offers enterprises the ability to build secure and global supply chains through improved security and policy-based a secure supply chain designed to offer governance and oversight over the whole container lifecycle while still allowing you to operate efficiently. 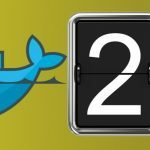 Docker EE 2.0 is available today. Docker is offering a free, hosted trial that you can learn more about on the company’s website. You can also access the documentation to learn more about the platform or attend one of the company’s upcoming events.